What is vapor pressure deficit? Often, marijuana growers who have their plants in indoor grow tents or rooms with artificial lighting, take into account parameters such as temperature and relative humidity to maximize plants growth and bloom, thus obtaining abundant harvest with top quality flowers. As we will see later, these factors affect different processes of the plant, such as transpiration or nutrient uptake. However, we usually forget about another important factor that is related to the aforementioned ones: vapor pressure deficit or VPD. Broadly speaking, VPD is the difference between the amount of water vapor that the atmosphere is able to retain (which depends on temperature) and the amount of water vapor contained in it (relative humidity). It is usually measured in kilopascals (kPa). Providing our plants with a correct relationship between temperature and relative moisture will keep us on the right VPD parameters, increasing the plant’s activity and thus improving its growth and showing its full potential during the flowering phase. The ideal would be to adjust both parameters (temperature and humidity) to get the best possible VPD value, so that the development of plants will be amazing. In the chart above you can see the right temperature and moisture values to maximize the development of cannabis plants. The green zone shows you optimal values of VPD, in which it would be ideal to maintain the environment. The orange zone shows correct values, in which plants should not have problems to develop normally. However, red areas show values in which your plants will be very far from hit their full potential, since the relation between temperature and moisture is not optimal. 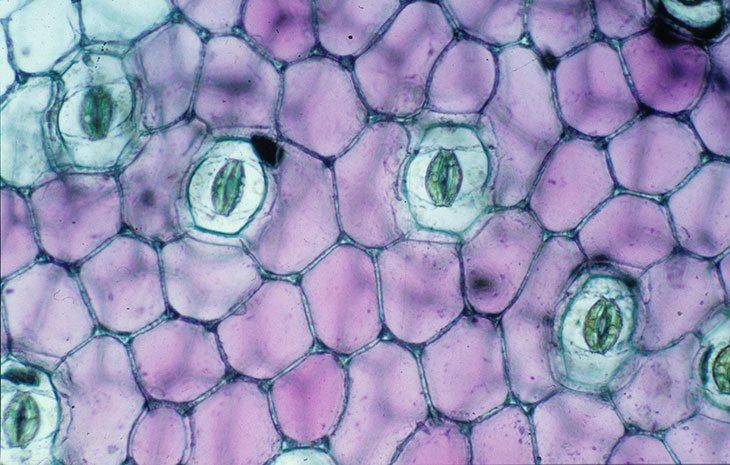 With relatively high values of VPD (between 5 and 12) plants tend to open their stomata and release a considerable amount of water vapor into the environment (increasing their transpiration). This increase in transpiration results in an increase in the plant’s photosynthetic activity, which will need more nutrients and will improve its overall growth, both during growth and bloom. The best range is between 7.5 and 10.5, which we have marked in green. However, we must be careful that VPD is not too high (dark red zone) since the plant would close its stomata to avoid releasing too much water vapor to the environment, which would result in fast dehydration due to excessive transpiration. On the other hand, if VPD is too low (light red zone), the plant will also close its stomata for not releasing more water into the atmosphere, which in this case would be already saturated (it would have reached the maximum water retention capacity in a specific temperature). In this way, reducing transpiration will also reduce photosynthesis, which has a direct impact on the plant’s development and yield. 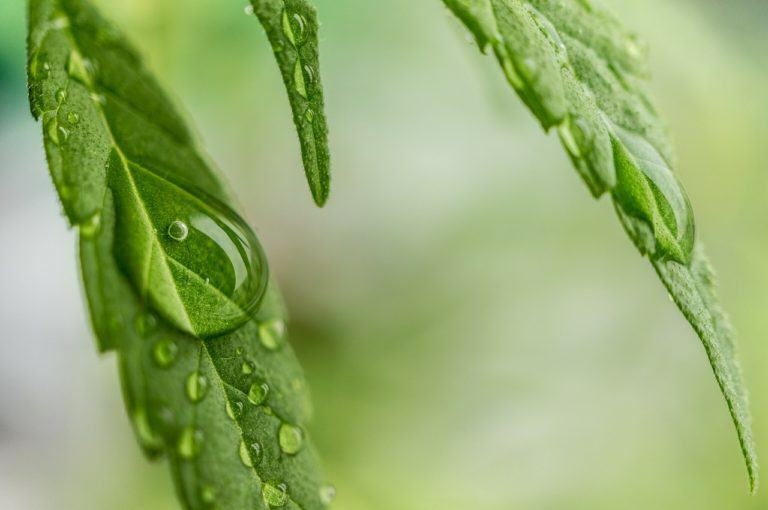 That way, VPD is essential when it comes to offer the best conditions for the development of plants, also to understand its water requirements according to the nutrients used and thus adjust them correctly to meet the grower’s expectations. We have seen that the best way to keep a suitable VPD value is to control the temperature and/or relative humidity, which is something we have multiple options for, as we will see later. In order to calculate the vapor pressure deficit in our grow space, we just need to know the temperature and relative humidity inside it. 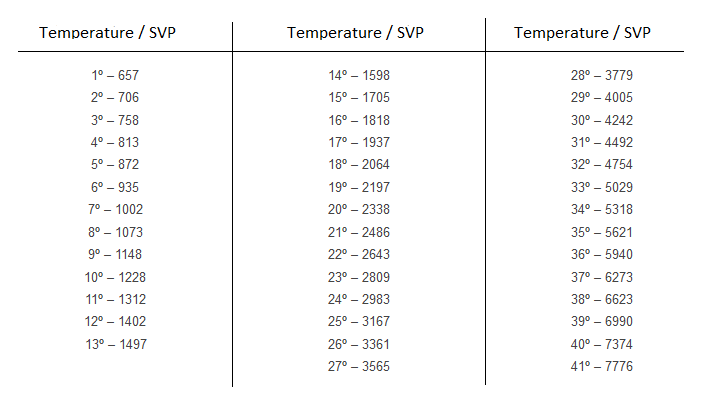 We also need to know the saturated vapor pressure (SVP) values for a given temperature, which are listed below. Considering that values of the table are given in Hectopascals, this gives us a result of 9.45 hPa, a value located in the green area of the chart, perfect for our plants development. 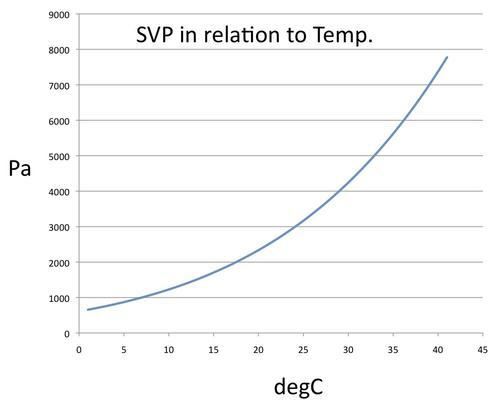 If we subtract the SVP value that we got, we will know the saturation deficit, that is, the amount of water that the environment still needs to form dew. Low levels of VPD combined with high relative humidity (light red zone) may cause nutrient deficiencies, guttation phenomenon, different diseases or weak growth; while a high SPD value combined with low relative humidity (dark red zone) it could cause wilting, curled leaves, poor growth or crisp leaves. If you usually read the indoor growing section of our Blog, you probably already know most of the systems to control the climate for this cultivation technique. However, let’s make a brief review for those who are not sure how to set up an indoor grow. Grow lights used in indoor cultivation (usually sodium vapor lamps) produce a lot of heat, so an essential element to regulate the climate properly is the air extraction equipment. Thanks to it, we will be able to expel the heat emitted by the bulb and the moisture produced by the plants themselves, also to introduce new and fresh air into the grow room. Most modern air extractor fans include temperature and/or moisture controllers, which will operate depending on the values set by the user. Of course, there are also climate control units which can be connected to all kinds of devices to regulate the temperature and relative humidity inside the grow room. Thus, we can connect an air humidifier in case you need to raise the moisture or fans if what we want is to decrease it. With the climate controllers we can also modify the extraction equipment speed and adjust it in order to expel the correct amount of heat and moisture. If the temperature is too high, we can use less powerful bulbs or LED systems, increase extraction and ventilation or use air conditioning. On the other hand, if it is necessary to increase the temperature, we can incorporate to the assembly some heating device like tubular heaters for greenhouses or heat mats. Reducing ventilation and extraction will also help, although you will need to control the increase in relative moisture. 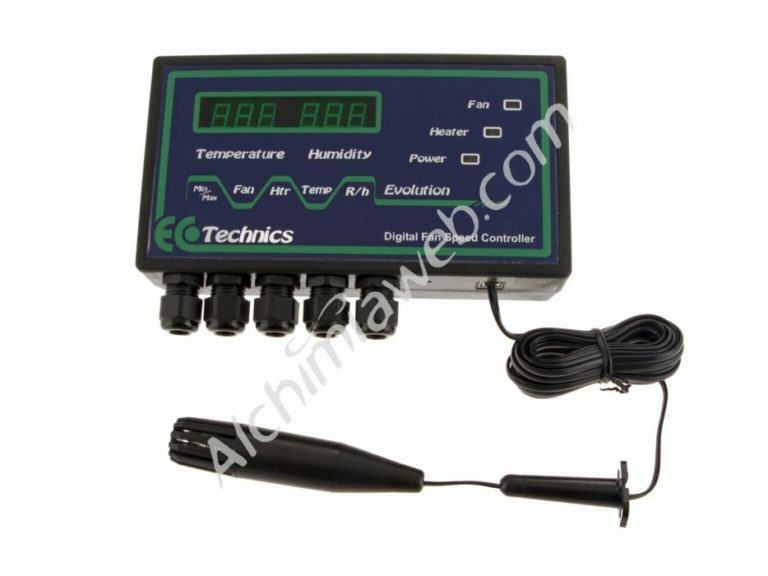 In short, climate control units allow us to set the temperature and moisture values that will determine the operation of all devices connected, which certainly represents a great help for the grower. Dehumidifiers decrease environmental moisture and release heat, which can be helpful in certain cases like very moist and cool areas, such as basements. We can also add CO2 to the environment, although this is usually reserved for experienced growers who have their grow room fully optimized. As we see, there are numerous options in the market to meet all the needs and achieve the ideal environment for our plants, which has a direct impact on their performance. Do not hesitate to post your comments and questions, we will be glad to answer them! Is there a different formula for finding ideal vpd when enriching with co2? I haven’t found a formula for vpd and co2, although I’ve checked some studies where they basically say that co2 enrichment increases both photosynthetic rate at high VPD (18-19 in our chart) and water use efficiency. Do you run according to the VPD chart all the way to harvest, or are you suppose to cut back on the humidity the last several weeks? Usually I try to lower a little bit the humidity during the last 2 weeks, at around 50-55%. what are the temperature and humidity levels for powdery mildew to start forming? Hi Brian, thanks for your question. From what I’ve read in a few scholarly articles online, I see that the ideal conditions for a PM infection to form and spread would be in a temperature between 20-25ºC (68º-77ºF) with humidity levels over 50%. I hope that’s some help, happy growing! Hi I have a question my 4×4 tent is in the basement which stays cool all year round not reaching over 70°F. Is this for just darkness when the RH will spike? I have a Dehumidifier outside my tent and i’ll start using it a week or two after I flipped to 12/12 only when my lights are out I’ll use Dehumidifier. since I’m in week six of bloom my temps this time of the year will reach about 70F this is all based with light out and only in bloom. The Dehumidifier will raise temps a bit. I run lights at night. A couple hours after they go off I’ll put my dehumidifier on. So just checked my temps and RH temps 73F RH 50 to 55%. I can keep my tent with lights out between 68-70 give or take without the dehumidifier But then my RH will spike if not using my dehumidifier. So it’s do you know what would be a more ideal temperature and humidity then what is posted about? Thank you Kindly! Yes, RH will spike during dark hours. With your current temperatures and RH level, you should raise a bit the RH to 60% or lower the temperature to 63-64F, which I would not recommend. Actually, I would not use the dehumidifier with this temperature unless RH goes above 65%. Remember that you can either use timers or humidity controllers to switch on/off your dehumidifier. If your dehumidifier is placed outside the grow tent, remember to check the impact of your device inside the tent. Dehumidifiers reduce RH while producing heat, so it’s always better to use them along with controllers to avoid VPD imbalances. I’m running a grow room at 74 degrees f and 65% humidity which falls in to the sweet spot on the vpd charts. Been in flower a week but want to aviod the mold / mildew range as much as possible. According to the chart if I want to stay in maximum efficiency respiration range and keep the humidity down to 50% my temps would have to be pretty low. (64 degrees) Anyone have any ideas for a happy medium? Hi Greg, thanks for your question, I’ll give you the same answer as I just gave to JPax below: In flower you can’t stay within the green area on the chart, the VPD level is fine between 7.5 and 10.5 mbar for vegetative growth and for the first couple of weeks of flowering, but afterwards you’ll need to increase it, to 11-13 mbar for week 3 & 4, then from 13.5 to as high as 16 for the remaining period, that’s presuming a flowering time of 8-9 weeks. For longer flowering strains you’d have to adjust, bearing in mind that, as a general rule, Sativas will deal better with higher humidity & temperatures during flowering than Indicas. I hope that helps, happy flowering! If PM likes temps 68-77 with rh over 50%. Why would ideal VPD at those temps have an RH of 65-75%. Aren’t you rolling the dice with Mold and mildew at those levels in flower? Hi JPax, thanks for your comment and question, and you’re right, in flower you can’t stay within the green area on the chart, the VPD level is fine between 7.5 and 10.5 mbar for vegetative growth and for the first couple of weeks of flowering, but afterwards you’ll need to increase it, to 11-13 mbar for week 3 & 4, then from 13.5 to as high as 16 for the remaining period, that’s presuming a flowering time of 8-9 weeks. For longer flowering strains you’d have to adjust, bearing in mind that, as a general rule, Sativas will deal better with higher humidity & temperatures during flowering than Indicas. I hope that helps, happy growing! You need to change the title of your chart so it says ‘VPD for vegetative growth’. I use a modestly priced ($250) consumer product type of dehumidifier (DH) in my indoor grow room. It has an uncalibrated “humidity” knob. I noticed that my DH is in the business of human comfort, not precise humidity regulation. I got it to hold 50% RH well when grow light was on, but RH went up 5% when light was off. So, I added a humidity controller (Inkbird) and can achieve and hold any useful humidity level. Since humidity usually rises at night in nature, should we also let it rise some when light is off? Another motivation to do this is that I may be harming my dehumifier (DH). It seems all such devices have a compressor, and that compressor should not be turned on for a few minutes after turning it off, lest some damage occur. For this reason, I set my humidity controller for a healthy range about the target RH. For example, for a 50% goal, I set the high bound to 52 or 53, and the low bound to be 47 or 48. This results in 5 to 10 minute cycles, with the DH off roughly half the time. I am looking for nuanced thoughts on this matter. Hi Bill, thanks for your comment and questions. I showed your comment to my colleague who wrote the original article, and his response was “Wow, this guy is doing a better job than me!”. Aside from that, his only observations were that 50% is perfect for the flowering phase, but in veg, you can raise the overall humidity a little, to 55-60% (don’t let it get as high as 70% or as low as 40%), and it’s perfectly normal for it to be a little higher at night. As for the damage to your dehum, you could be right, and as you say, that’s a fairly good motivation to allow the RH to rise a little. Alternatively, there are controllers, like the Cli-Mate Mini Controller Humi, with a built-in “Hysteresis” setting, which, depending on how it’s programmed, works to avoid just this problem, that of apparatus switching on and off again very quickly, by adding a margin. Sorry if that wasn’t exactly the “nuanced thought” you were looking for but I hope it’s helped a little all the same! If we can help with anything else, don’t hesitate to ask. All the best, and happy growing!